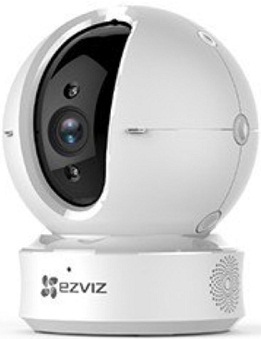 Hikvision ezviz CS-CV246 PTZ home CC camera has 1/4" progressive CMOS sensor, 360 degree viewing angle, 720p HD video resolution, night vision, 5 meter IR distance, Wi-Fi connectivity. This product hikvision ezviz cs-cv246 cc camera comes with 1 year warranty. Visit showroom or call to buy the hikvision ezviz cs-cv246 cc camera from Dhaka, Bangladesh.